This sector, driven by business and consumer spending, is projected to grow only marginally over the next five years given the continuing price erosion expected across all markets and a mixed outlook for unit growth within each of the sub-segments. However, there are segments within this sector Ã¢â‚¬â€� workstations, entry-level servers, 4KTV Ã¢â‚¬â€� expected to maintain growth. 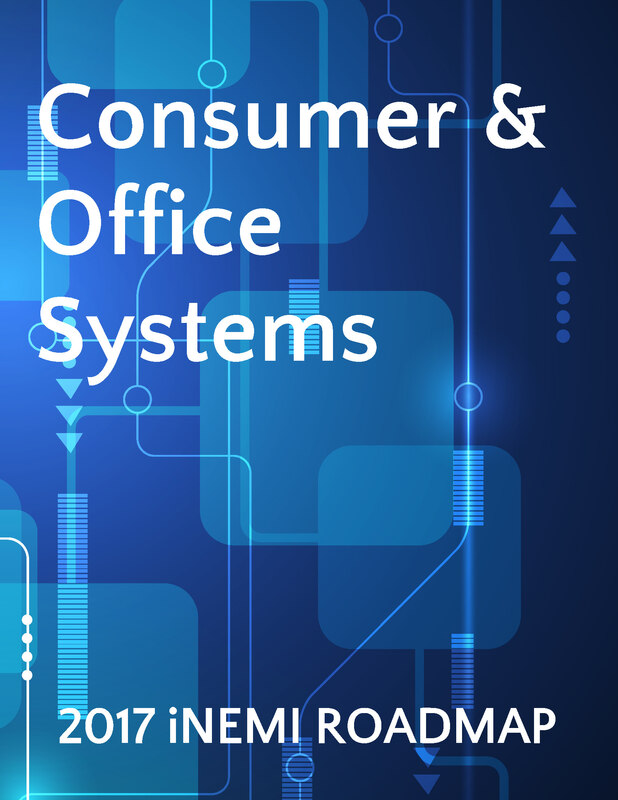 The main technology driver for the consumer/office products sector is still cost top to bottom. This focus on cost will be challenged by the emerging focus on the mobile user experience. With the wide acceptance of tablet computers by businesses and consumers, the traditional office systems will focus on reinventing the notebook category, creating hybrid (tablet/notebook combo) system designs that seek to duplicate both the tablet user experience and the notebook user experience in one device. These designs will drive thin, low power, form factors with high-resolution touch screens and multiple integrated sensors. The technologies to enable these hybrid systems include HDI PCBs, thin metal enclosures or structurally equivalent plastics, ultra-thin package substrates, die thinning technology, 3D packaging with die stacking and TSVs, more efficient batteries, low-cost touch panels, and lower profile/thinner disk drives, connectors, ICs, fans/heatsinks and keyboards.